Its a sunny Sunday afternoon, and time to add the first super. 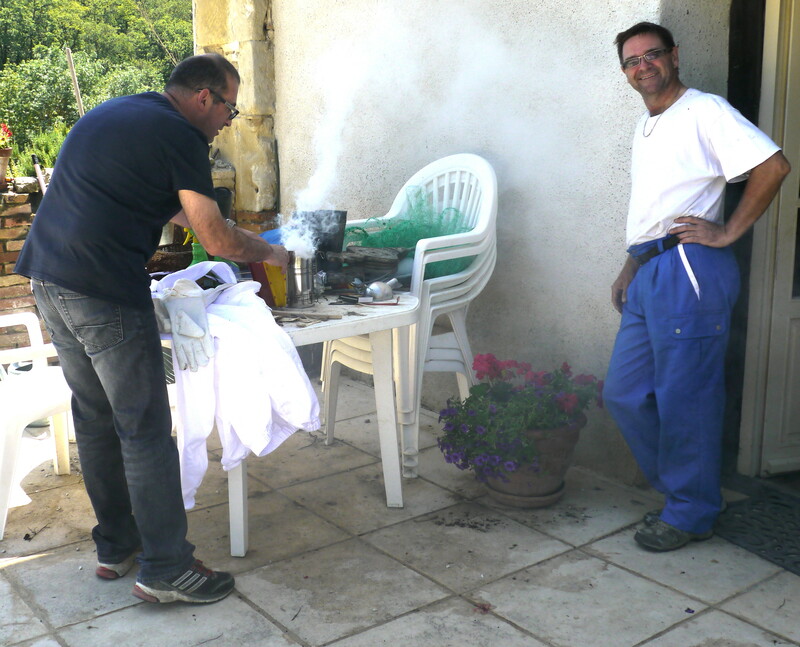 Jean-Philippe has come to help, and most of the bees are off out. The first task is to get the smoker working. We have bought special pellets made from straw and lavender flowers and after some trial and error, it was discovered that the best way to get these going is with newspaper, wood shavings and pine needles – we stopped short of petrol. 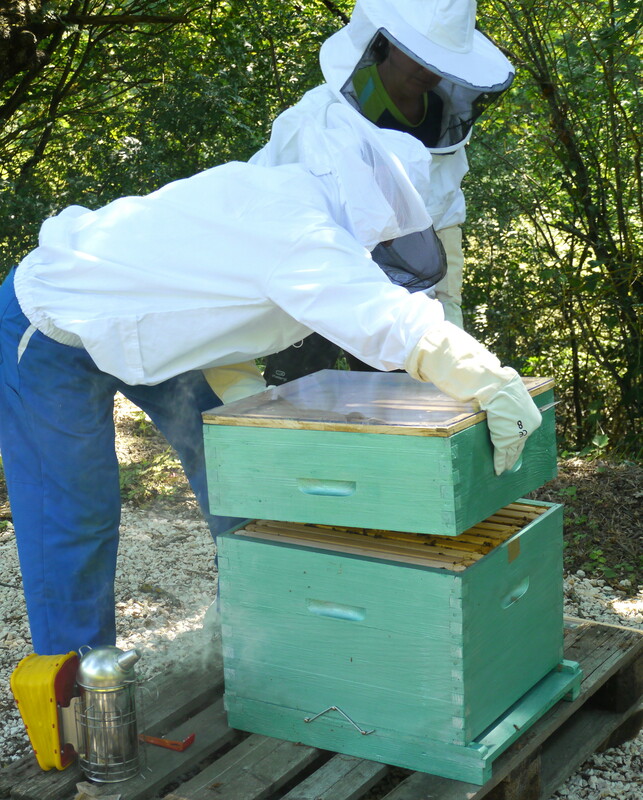 The smoke has a calming effect on the bees – it doesn’t seem to work on border collies, or indeed, wives. All requisite bits and pieces gathered together – and its off to Bee Square. The first job is to remove the sticky tape from the current cover – and then have a look at the frames. 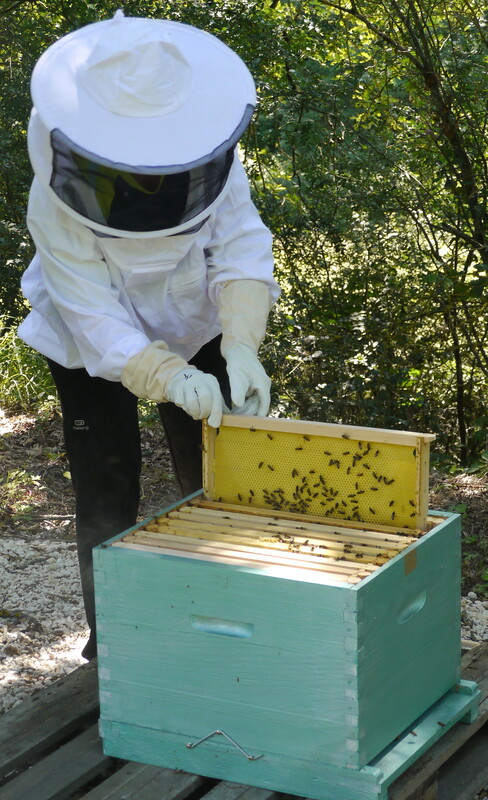 The bees are building their own comb – but there’s still lots of work to do on the outer frames. Going with the advice of the Venerable Beede (and against that of the reference books), we are not going to be adding the queen excluder. 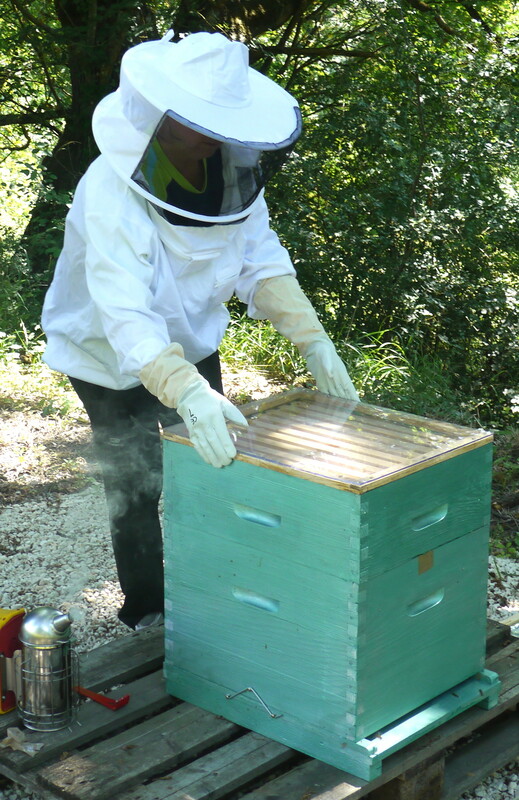 This is a grill, which keeps the queen and her egg laying activity confined to the brood box, so that the super is exclusively for honey storage. 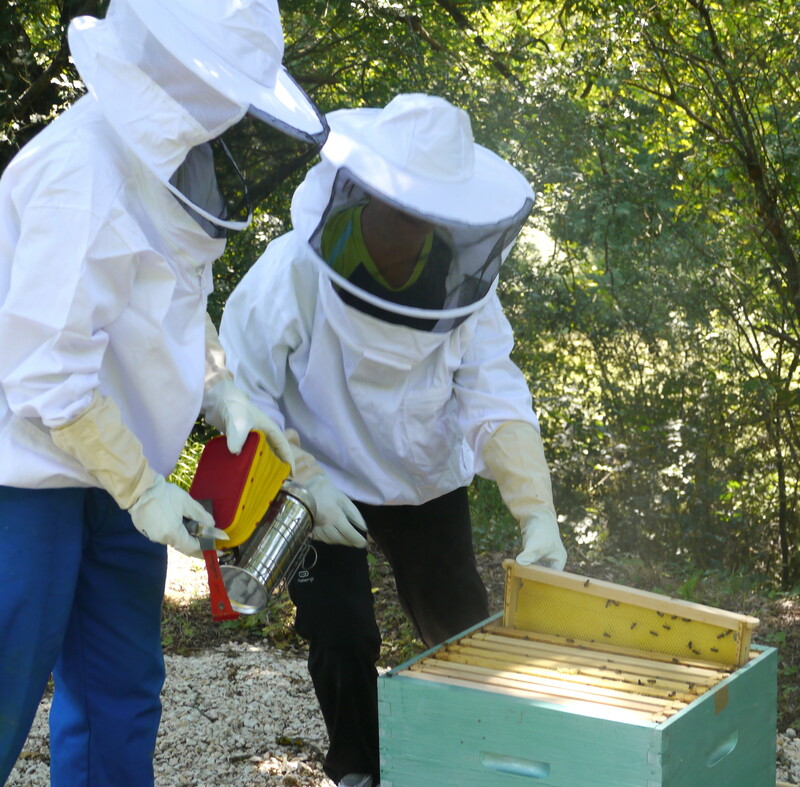 VB believes that the all the bees will be happier without this restrictive barrier – and so what if a few cells of the super frames are given over to eggs. Quick inspection over, then its on with the new super, on with Andy’s newly constructed perspex layer, and topped off with the roof. 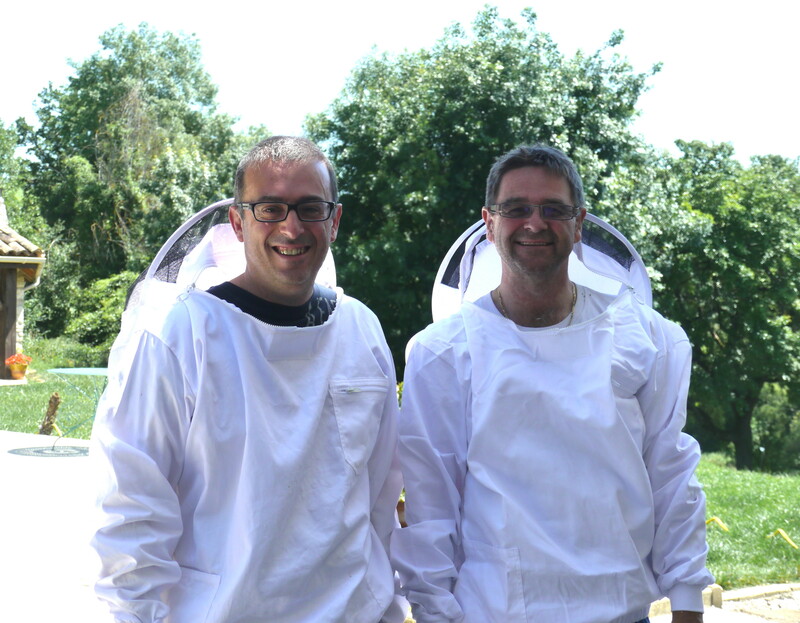 Thats another hive extended and ready for honey production.